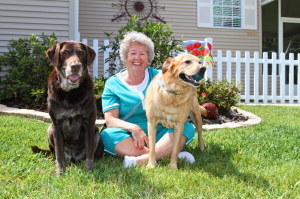 Among senior retirement communities in Central Florida, Cypress Lakes stands alone. With 36 holes of championship golf, fully staffed fitness facilities, an astounding assortment of social activities, and an ideal location in the heart of the Sunshine State, Cypress Lakes is the ideal community to call home for your active retirement lifestyle. But, perhaps the greatest benefit of retiring to Cypress Lakes is the affordability of it all. We offer resort-style living with your restricted budget in mind, so you can truly enjoy your retirement without it breaking the bank, by providing affordably priced homes with low maintenance requirements in a community with no shortage of amenities to keep you busy. Contact one of our helpful Lifestyle Consultants today to learn more about our community and to schedule a visit. Discover for yourself why Cypress Lakes is considered one of the premier senior retirement communities in Central FL.